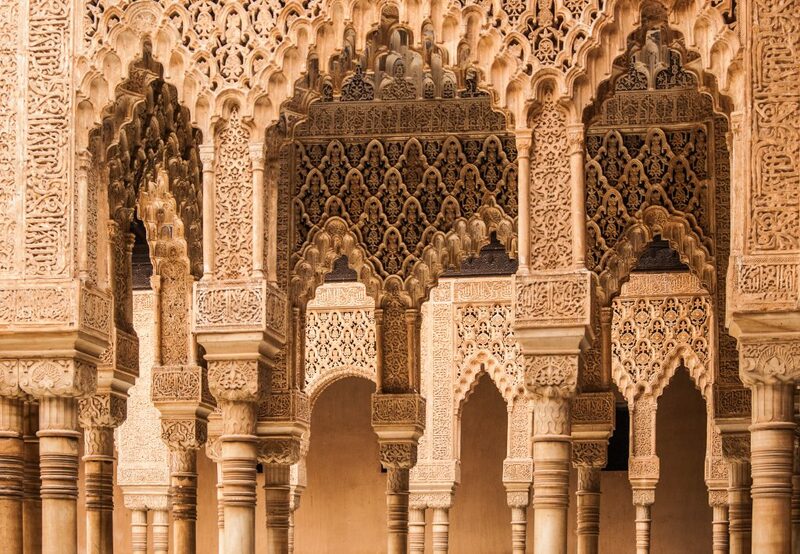 Discover the wonderful Alhambra with this extra-small guided tour -up to 10 people-. Skip the lines and embark on a 3-hour walking tour throughout the history of the Nasrid Dynasty, accompanied by an official guide. Discover the myths and legends of this breathtaking site and walk through the idyllic gardens of the Generalife. 1F Paseo del Generalife, Granada 18009, Andalucía, ES. Mural map at the main entrance of the Alhambra, by the ticket office. Look for the white umbrella with the logo "VISITAGRANADA".